With a 3D camera built in the head, this upper-body humanoid robot offers the possibility to choose among three control options: position, speed and current (torque). This product is built to order item. Picture of the robot currently under development. Intuitive operation thanks to its unique design: the axial structure and the length of the arms are about the size of a grown female. Position, speed and torque (current) control modes available with the use of ROBOTIS servo motors. Possibility to broaden the scope of research by combining various ROS packages. Built-in double swing hand allowing immediate pick-and-place upon delivery. Ability to avoid obstacles and perform tasks thanks to the arm’s axial redundancy; arm extendable thanks to the back axis. 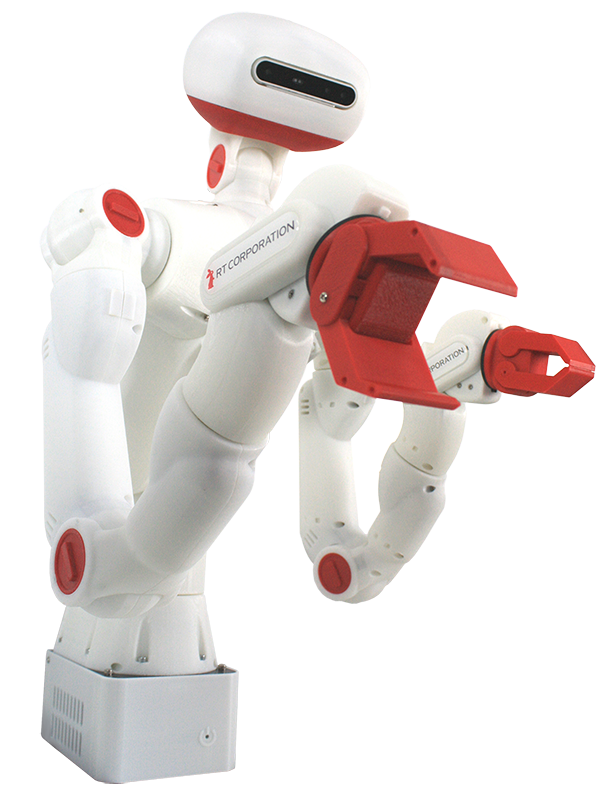 Sciurus17 is an upper-body humanoid robot with a 17-axis-structure head equipped with a 3D camera. It offers the possibility to choose among three control options: position, speed and current (torque). Sciurus17 is compact, stylish and operates intuitively, thanks to the axis structure and the length of the arms that were designed to be about the size of a grown female. The arm is structured with seven axes which provides redundancy and allows the robot to avoid obstacles and perform tasks. 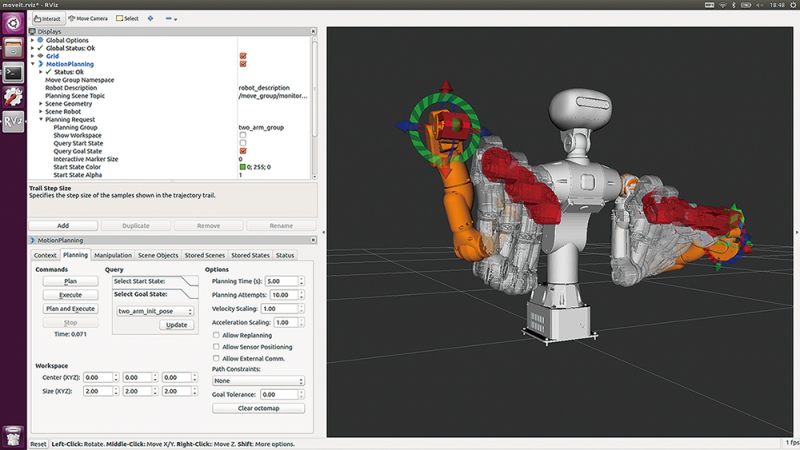 By using the back axis, the robot can also extent its arms. Sciurus17 is ROS (Kinetic Kame)-compatible and a variety of ROS packages may be used in high-level processing tasks carried out in research and development. *ROS (Robot Operating System) is an open source software that helps software developers to create robot applications. Countless researchers and developers have been able to easily assemble versatile programs by using ROS packages and tools. *Due to continuous improvement form may change without prior notice. It takes about 3 months from receiving the order to delivering. * Specifications and prices subject to change without notice due to continuous improvements. The picture illustrating the use of ROS. The colors of the robot displayed in the screen are red and white. Installation of additional sensors and other products and services: please contact us for more information.